We are dedicated to providing you the best from cosmetic bumper scuff repairs to powder coated alloy wheel refurbishment and insurance automotive repairs and most importantly of all to help you get your vehicle back to the showroom condition it was with as little stress as possible! Car Body Shop! DJ Auto Body Repairs Manchester is a small, car body repairs and Powder coating alloy wheel refurbishment company based in Denton, Manchester that can provide every type of car body repair and wheel refurbishment. We provide repairs from minor bumper scuffs to full body panel replacements, car resprays and Alloy wheel repairs. With our car body shop being based in Denton, Tameside we are ideally suited to accommodate clients from Manchester, Ashton-under-lyne, Stockport, Glossop and the surrounding Tameside areas. We also provide Mobile Smart Repair services in these areas. 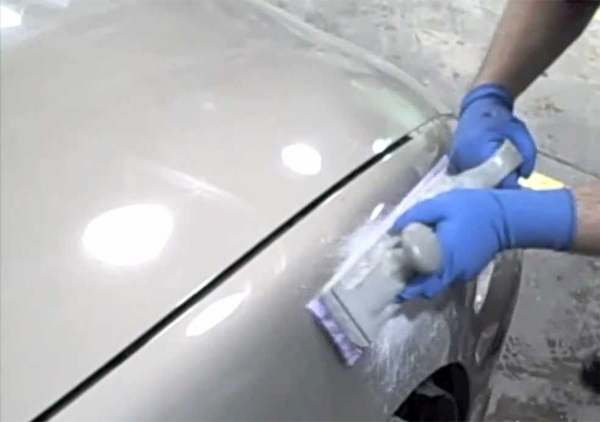 Our team carry out high-quality spray painting and powder coating, car body work and paint damage services. Now and then, we can even provide niche spray painting requirements - such as kitchen doors - upon request. If you've been involved in an accident and you are not at fault then give us a call. Avoid all the hassle that can come from making a claim on your own insurance. 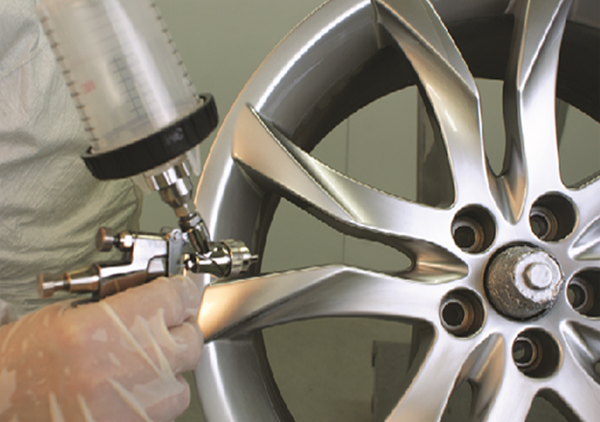 During powder coatr repair, every wheel must pass a thorough examination to ensure each wheel is maintained and meets OEM and insurance quality specifications. Bumpers are often scuffed in car parks, gateposts and walls. The damage can range from minor scuffing, deeper scratches or even cracks and splits. We offer a fully mobile repair service (whereby we can come to your home or place of work) from a fully equipped mobile workshop. Our car dent repair specialists will assess the damage to your vehicle, and the best way to make that dent vanish before your very eyes. Scuffs and chips, vandal scratches, minor dents and bumper damage, these can be repaired, re-polished and re-finished and repaired to new. Should you have an impact or if your rims start to develop stress fractures depending in the severity of the damage, these can be repaired. To enhance the appearance of your vehicle or to buff away a light surface scratch, this is a great way to get that showroom shine back. Why Choose DJ Smart Repairs for your Vehicle? Why Choose DJ Auto Body Repairs? THE RIGHT TECHNICIANS – Our car body repair technicians are highly trained to use our unique high-tech repair tools and techniques and the continuous training never ends! Copyright © 2019. DJ Auto Body Shop Repair Manchester.